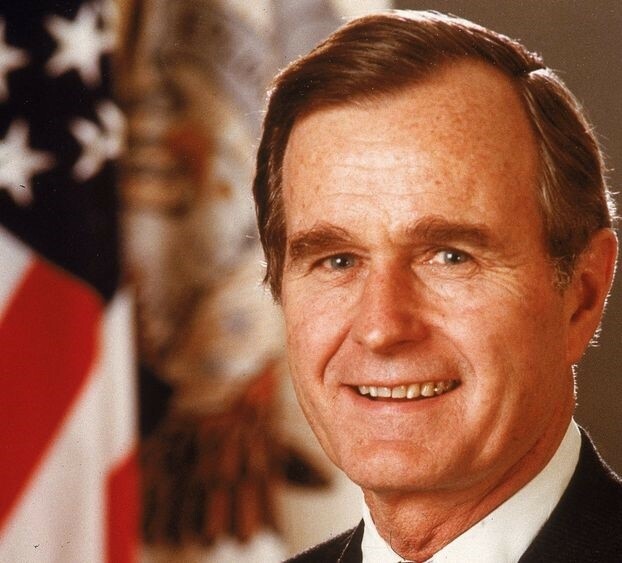 George Bush Snr, 41st President, was a man who truly knew how to conduct both himself and the affairs of state. From a solid war record in WW2 (unlike the confected Kennedy account) he clearly formed some suitably mature views on how the military should operate in a western democracy - a rather important qualification for an elected president of the world's most powerful nation - and his oversight of the First Gulf War 1990-91 was a perfect exemplar. First, the politicians should set the goals and, most critically, the constraints. Then, they must leave the military to get on with it. (Not without ongoing review and supervision, obviously - devising grand strategy is an interative process between soldiers and state. Not least, the military perennially need to ask for more resources.) In particular, when the fighting starts, the politicians step right back from the action, notwithstanding the agonising temptation to call the shots blow-by-blow. Even back in the 60's, telecommunications were good enough for Lyndon Johnson to interfere daily from his desk in Vietnam. By 1990, they were very much better. (We were able, for example, to give near real-time notice of Scud launches and a fairly accurate prediction of their ballistic trajectory, which appeared immediately on Scud-alert screens anywhere in the world. We could then watch them landing at their predicted point of impact. All from the comfort of a desk.) Just think of the scope that gave for minute-by-minute meddling: the sheer temptation. And when the coalition forces stormed through Kuwait and reached the prescribed stop-lines ... they stopped, despite it being a rout. We can argue forever what would have happened if the remnants of the Republican Guard had been pursued to Baghdad. For what it's worth, Schwartzkopf's main regret was not that hot pursuit wasn't allowed: he absolutely respected the political decision. He just wished he'd had the imagination to force Saddam to surrender in person. Farewell George HW Bush. One of the very last and best of the Great Generation. If the author of this book is to be believed Churchill would have interfered, a lot. BTW, your comments verify is a pain in the arse. Anon - I'm thinking we shouldn't have fought the Germans at all. He was all right was old Bush. "unlike the confected Kennedy account": tell us more. I know he was the only skipper incompetent enough to lose his motorboat to ramming; what else? Shouldn't he have abolished NATO after the demise of the USSR? Instead Russia has been encircled and at one stage we were seriously considering Georgia as a member. The Black Sea is a long way from the Atlantic sea-lanes, not that that's stopping UK aircraft from patrolling it. Turkey only got in as a listening post and counter to the USSR when the Cold War was pretty warm. 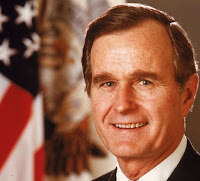 You might not know this, but in 1990 GHW Bush signed a law that more that more than doubled legal immigration and introduced the "diversity lottery". It gave business all the cheap workers and democrats all the cheap voters they wanted. He's as "conservative" as Mrs May, who will I gather sign the UN Migration Pact once her current local difficulty is resolved. Decided to continue the blue blood tradition as a Republican but could have just as easily decided to be a Democrat, just another professional pol with no real conviction or desire to make good things happen. Face it. It was a fairly calm era with an easily winnable war thrown in. Churchill was leader of a nation which was starving and imperilled. A giant by comparison.